Since its inception in 2016, Margaritaville University has grown to 200 students on 104 campuses across the United States and Canada. Ambassadors share one simple mission – to bring the Margaritaville lifestyle to their fellow students in fun, unique ways. 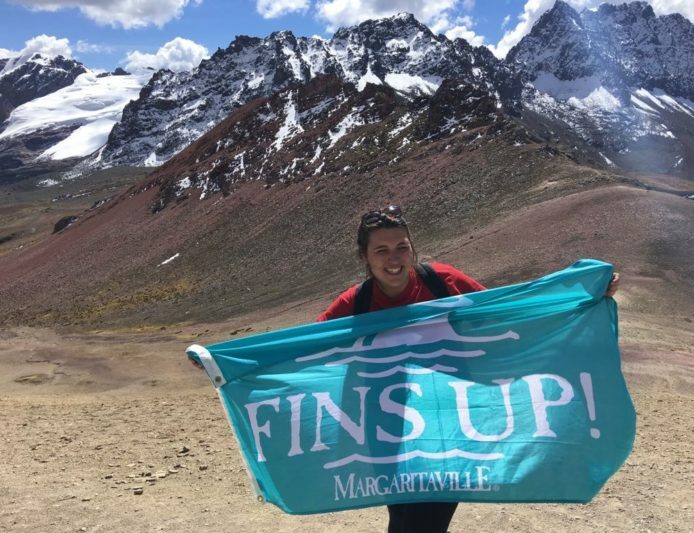 Often times, this is done on campus or in their college’s community, but some students take their Margaritaville state of mind and their Fins Up flags even greater distances. One example: Carissa Neary. Carissa is a Margaritaville college ambassador at Elmira College. Straight from Carissa’s journal, see how one ambassador spent her summer vacation below, and learn more about Margaritaville University. Back in May, I went on a trip with my college to Poland and the Czech Republic. Our class was mainly focused on the Holocaust and the Nazi reign. Prior to boarding our planes, we watched movies and had lectures about what we were going to see, and we learned a bit of Polish. In total, eleven of us embarked on the journey, ten students and one professor. We visited a lot of cities and our first stop was Gdańsk, Poland. While there we went to the Lenin Shipyard which is where the Solidarity movement started. A majority of Gdańsk like most of Poland was destroyed during World War II. However, due to very good, safe-keeping, replicas of the structures that were demolished were reconstructed to look the same as they once did. 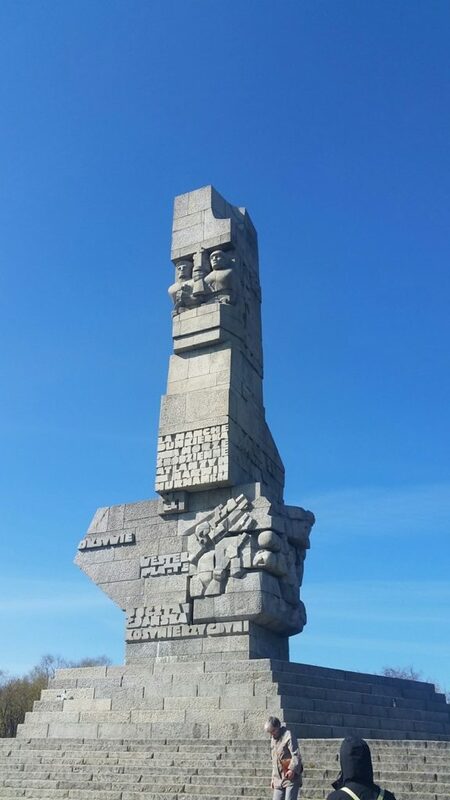 The Westerplatte Monument in memory of the Polish defenders. bunkers, all of which gave us an uneasy feeling. 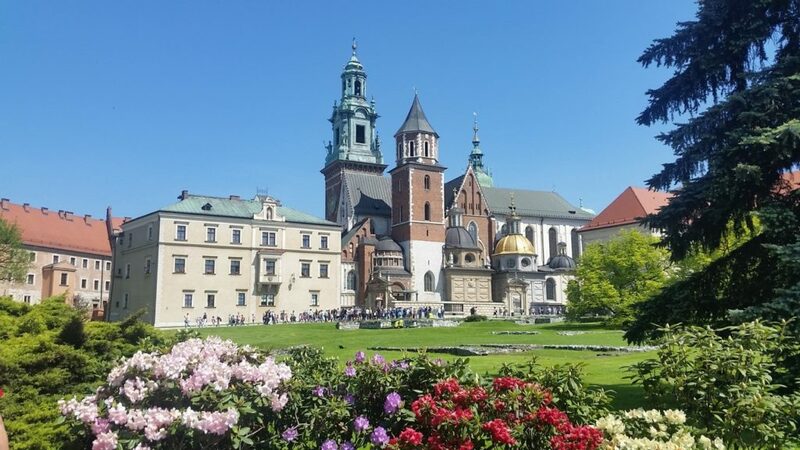 places like Old Town, museums, and Polish Sejm. We went to the underground Wieliczka Salt Mine. at her home in Czestochowa. In Zakopane, we had an amazing view of the Tatra Mountains, and we went down the side of Gubałówka Mountain in alpine slides. When in Krakow, we went to Schindler’s Factory and saw the actual staircase from the movie, Schindler’s List. For the record, the movie had portrayed the idea of a written list, but this is wrong as there was never an actual list written. I rented a bike the one afternoon that we had free time and went around Wawel Castle and other nearby places. My friend and I went to this Cinema Music Festival one evening that I read about; even though they speak Polish, all the songs were in English. We went to Auschwitz – an emotional experience as we walked the grounds and were able to go into some of the bunkers. My classmates and I were in for a shock when we saw people taking selfies at Auschwitz. However, our jaws dropped as my classmate was asked to take a man’s photo which he smiled for. The following day we got on our van and went on a five hour drive across the border into the Czech Republic. We only made one stop in the Czech Republic – Prague. We went to Prague Castle where we had a really great view of the city below. We also saw an extremely small pedestrian alley, due to this width; it had its own stoplight. We went to the Lennon Wall, the Charles Bridge and Old Town Tower. We ventured a bit outside of Prague to go to Terezín, another concentration camp. This camp was set up as a large and small fortress; however, it was just like an ordinary town. Normally, children and famous people would be living here. Due to the swiftness of artists living there, the children’s art was saved as it was stored in the walls of various buildings. One of the most remarkable discoveries at Terezín was that people still inhabit the large fortress. On our last day before heading back to the States, we went on a dinner boat cruise. Our 15 days spent in Europe were unforgettable, and also an amazing, first-hand learning experience. 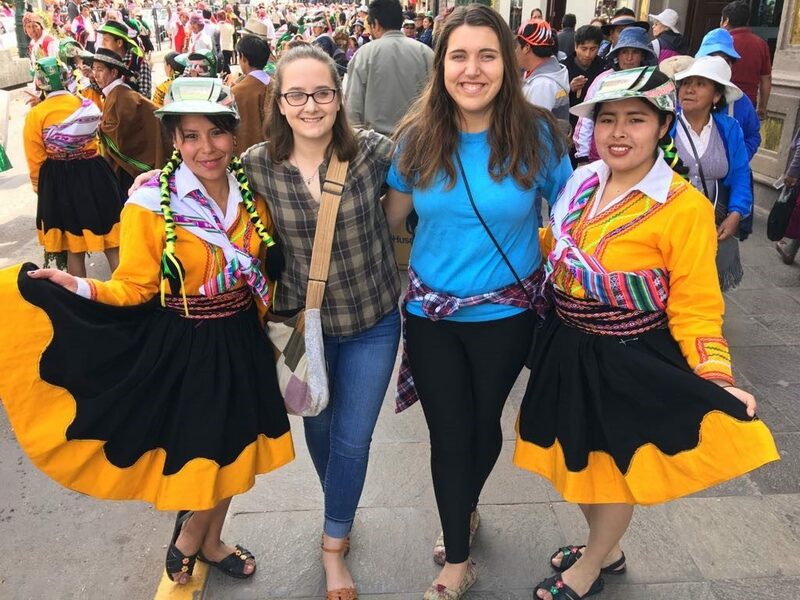 Spending three weeks of my summer in Cusco, Peru was amazing. Cusco is a very mountainous area and has been thought to be a lake at one time. My friend from college invited a few others and me to go home with him to Peru. He was going to visit for the first time in two years. At the beginning of our travels, there were parades almost every day. The parades were to show the talents of different districts and the floats that were crafted by high school and college students. We were around for Corpus Christi, which is a parade when men carry the statue of the virgin or the saint that represents their district to and from a central church. We celebrated Inti Raymi which is the Festival of the Sun. Inti Raymi is held on June 21st which is the Peruvians winter solstice. The first baby that is born on our summer solstice would be sacrificed and buried alive during the Inka’s time. Back in the days of the Inka, I would have been the chosen one. Fortunately enough no one sacrificed me and I celebrated my 20th birthday abroad. Besides the daily parades, the public school teachers frequently held protest over pay rates. The teachers carried signs and marched the streets. They blocked the roads with rocks, tree stumps, and tires that they set on fire. There is only one way to get to Machu Picchu, and that is by train. The day after we returned from Machu Picchu, they uprooted a rail of the train tracks. As for the day we were flying back home, a nationwide protest was scheduled. This was concerning to us as we did not know if we would be able to get to the airport as the modes of public transportation were suspended. It appears as if the aim of teachers is to derail tourism in order for their demands to be met. My friends and I went to new heights. We climbed to the top of plenty of mountains including Rainbow Mountain and Machu Picchu Montaña. The hike to Rainbow Mountain was exhausting but definitely worth it. The hike had a starting elevation of approximately fourteen thousand feet and we climbed to an ending elevation of about 16,700 feet over the course of two hours to get a perfect view. This excursion was not popular until to last few years because Rainbow Mountain was previously covered in snow. The snow melted, exposing the minerals that give Rainbow Mountain its name. A few days later we went to the ruins of Machu Picchu and shortly after started the climb up the mountain to get an aerial view of the ruins. To get to the top of this mountain, we had to climb countless, steep steps. The views from both of these mountains were simply spectacular. We went bungee jumping from a cage that was suspended 400 feet in the air with four wires. It was simply terrifying especially for someone afraid of heights (like I was previously). However, all these experiences from mountain climbing to free-falling were exhilarating and left me with the feeling that I can do anything. We climbed and slid down the natural slides at Saqsaywaman. We went on a day trip quad riding to the Moray and the Maras Salt Mines. We stopped at Paddy’s Pub in Plaza de Armas, the highest one hundred percent Irish owned pub on the planet. We ate guinea pig which is referred to as ‘cuy’ and was surprisingly very tasty. 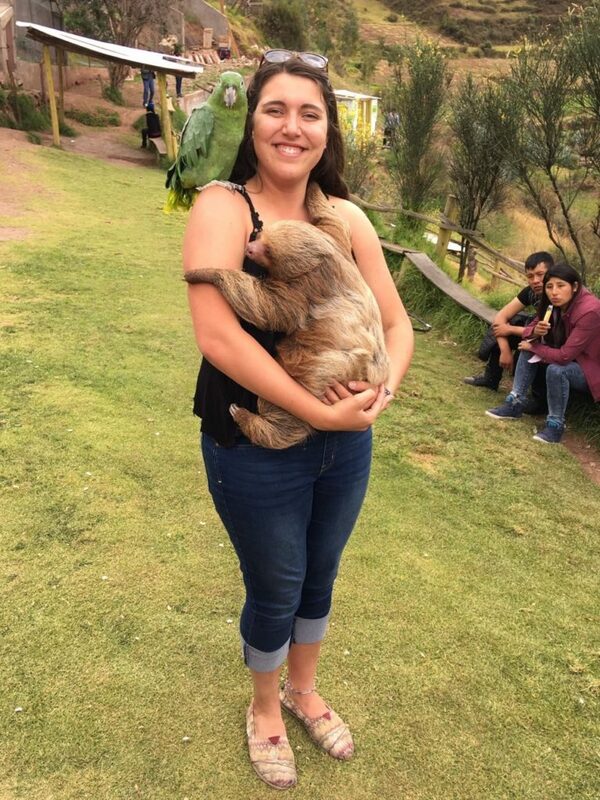 We also held a sloth and had a parrot perched on our shoulder for the cost of five soles (approximately $1.50). 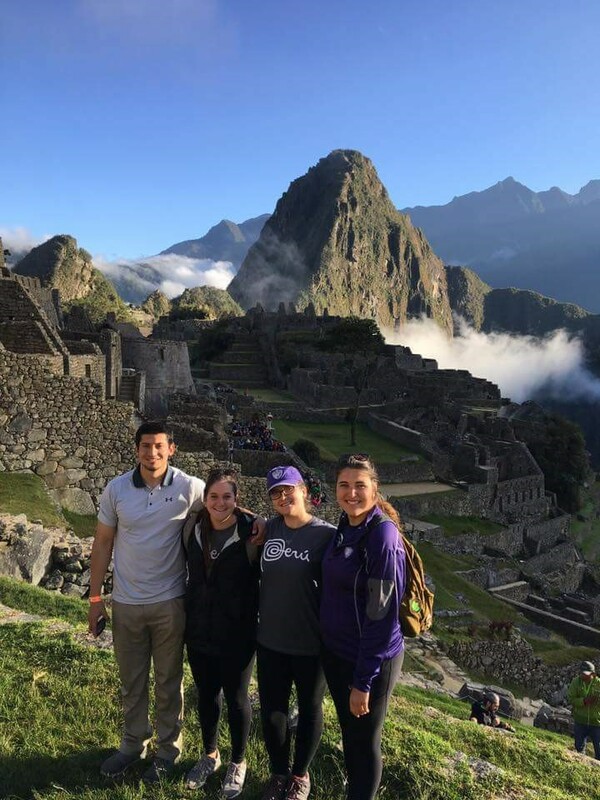 Overall, this was an unforgettable trip to Peru. Like most, my family has always encouraged me to travel when given the opportunity. Through all the chances I have been given, I have been able to find my Margaritaville time after time on my excursions. I am beyond excited to see where I will be going next!